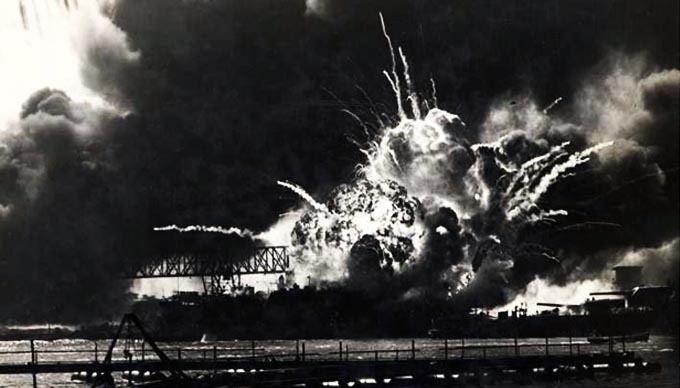 This Monday marks the 74th anniversary of the attack on Pearl Harbor. At dawn on Sunday, December 7, 1941, carrier-based Japanese aircraft launched a devastating attack on the U.S. Pacific Fleet. A peaceful morning in the paradise of Hawaii became a hellish scene of burning destruction. 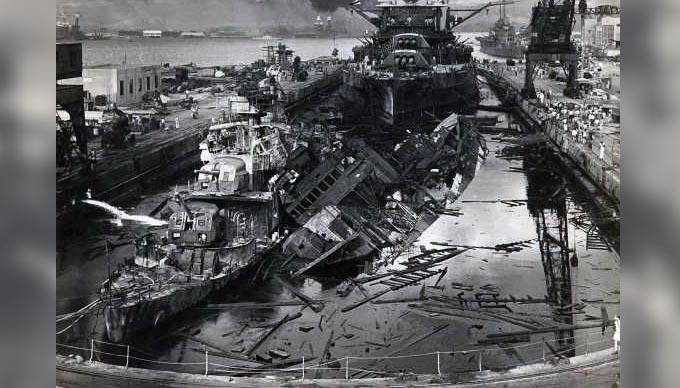 18 naval vessels sank or were badly damaged, 188 planes were destroyed, and the island suffered over 2,000 casualties. Those who lost their lives that day will be remembered in Mason County and in Fredericksburg, TX. Today in Fredericksburg a recognition and memorial program will be hosted, including guest speakers and chaplain, Joint Color Guard, music, and much more. For more information, call 830-997-8600 ext. 205. Then, on the 10th of December, members of the Mason VFW post 8554 and American Legion post 285 will have their Christmas party, during which a remembrance will be held for Pearl Harbor. According to Mason County News, the party will be at the post home on Post Hill Street behind the jail. Veterans are invited to join. Post commander Lawrence Spell can answer questions about the event at 325-429-6224. In 1940, the commander of the U.S. Pacific Fleet, Admiral Richardson, flew to Washington to protest the President’s decision to base the fleet in Pearl Harbor, believing the location too vulnerable to an attack. Unfortunately, Washington ignored the admiral’s sage advice. Richardson was relieved of command and replaced by Admiral Kimmel, who also voiced misgivings about the fleet’s new permanent base. After months of worsening relations with Japan—including the termination of trade treaties and an oil embargo—the admirals’ worst fears were realized. 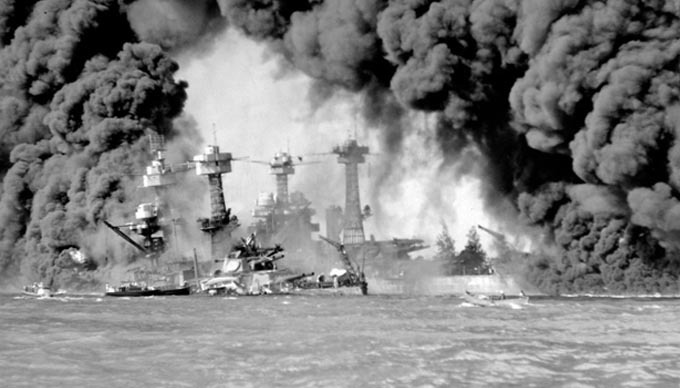 The tragedy at Pearl Harbor brought the U.S. into WWII. Before the attack, a Gallup poll showed 88% of Americans opposed U.S. involvement in the European war. Political speeches reflected this opinion, with FDR telling the public, “I have said this before, but I shall say it again and again and again: Your boys are not going to be sent into any foreign wars.” The day following the attack, the President asked Congress for a declaration of war on Japan—and so began America’s entry into the Second World War. Today there are only a few survivors of the attack still living. However, plenty of older folks in the Texas Hill Country can remember where they were when they first heard the news about Pearl Harbor. As FDR predicted, the day has indeed lived in infamy.